Please see product below for individual characteristics. For use in running single-phase motors at 50/60Hz. Self-healing and manufactured using a self-extinguishing plastic case filled with resin. This gives very good electrical reliability together with high mechanical resistance to shock and vibration. 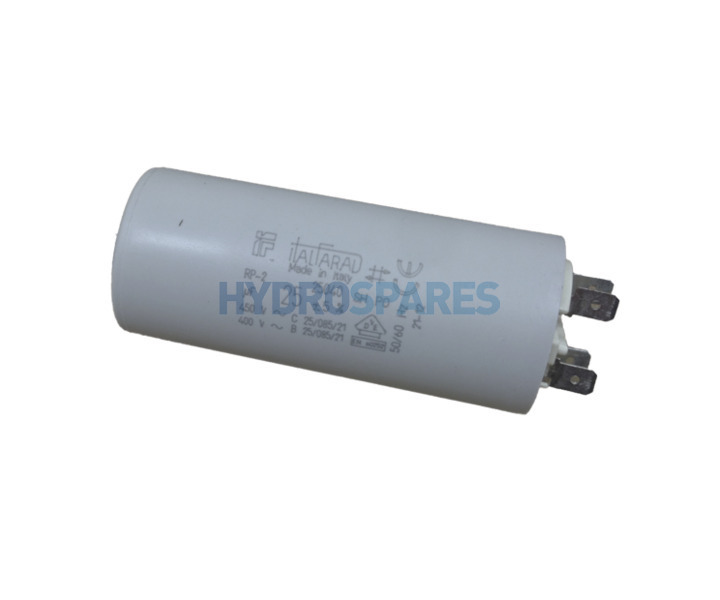 - All ITALFARAD motor capacitors have VDE approvals in accordance with European Standard EN 60252. Good product easily fitted worked straight away, no issues. Thanks for the feedback Alan - for new customers please see our range of pipework and fittings in order to make sure you have all products to complete your job.